Do you want to learn to navigate with a map and compass? Do you want to read a map with confidence? If you’ve ever dreamed of being able to find your own way in the bush, break through the invisible walls beside tracks and step off the well-formed trail, to become an explorer and discover your own adventure, read on. 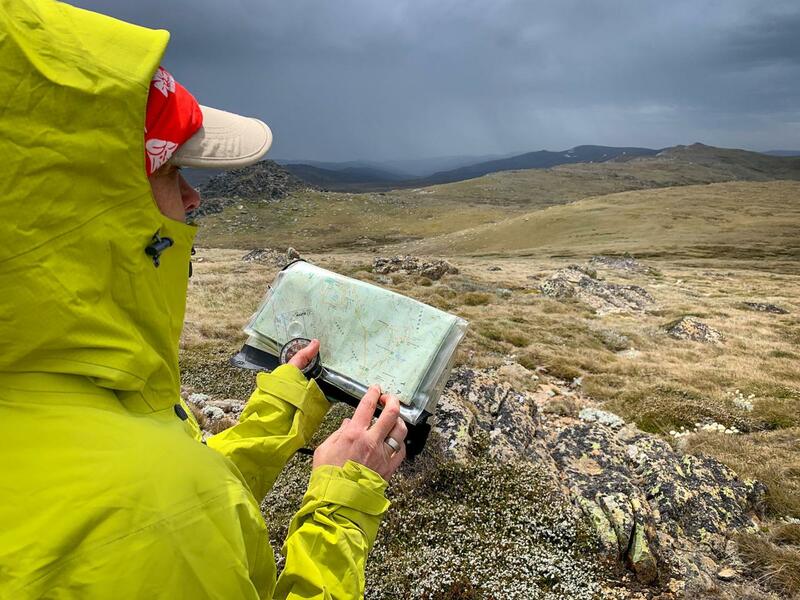 Over two jam-packed days you’ll learn some of the skills essential for off and on track navigation and build your confidence in finding your way in the bush and making wise decisions in an outdoor environment. Like a detective in a story, you’ll be equipped with skills and knowledge to find the clues to solve the mysteries of where am I? How do I get where I want to go? and how long will it take me? Designed for bushwalkers, hikers, canyoners and climbers with little or no experience in map and compass navigation who want to cover the basics, through to intermediate skills associated with traditional navigation methods. This intensive workshop will cover the basics of choosing the right equipment, map reading and interpretation, reading the land, compass use, timing and pace, taking bearings and loads of other tips and tricks to help you recognise, prevent and solve the most common navigation challenges. ● Group first aid kit (your instructor is qualified in Remote Area First Aid). Accommodation: Blackheath and the upper Blue Mountains offers a wide variety of accommodation options from Youth Hostels to 5 star and boutique hotels. There is an option to camp (you’ll need to provide everything) at the training location or at the Perrys Lookdown campground. Meals outside of the training hours. Your own bushwalking/hiking clothes and footwear appropriate for the bush eg. boots or trail-runners/walking shoes. Dates don't work for you?? Register at Lotsafreshair to get updates as more courses are released. Beginning by building a solid foundation in map reading (we’ll provide the coffee! ), you’ll also get to know your compass and answer pressing questions like, ‘What is the difference between grid north, magnetic north and true north?’, ‘What’s the difference between Lat/Long and a grid reference?’, along with understanding datums. Stepping out into the stunning Blue Mountains National Park, we’ll get dirt on our shoes through some practical exercises designed to build your confidence in identifying map features and learning to read the landscape. By the end of this day, you’ll be able to interpret all features and notations on a topographic map, be able to judge time and pacing and correctly plan a route in an off-track location. Adding to yesterdays foundations, we focus on our compii (plural for compasses) with the aim of becoming familiar (and then confident) in its many uses. You’ll learn (and have much practice in) taking bearings, dead reckoning and how to use your compass to find out where you are. With much of the day spent in practical exercises, by the end of day two, you’ll have combined the knowledge of map reading and interpretation, with compass techniques and skills, pacing and more to plan for off-track adventures. In addition to traditional map and compass navigation, a short session will also cover off digital navigation looking at a variety of smartphone apps for navigation. There are no pre-requisites for this course, however you will need adequate fitness to physically spend two consecutive days in moderate off-track terrain.